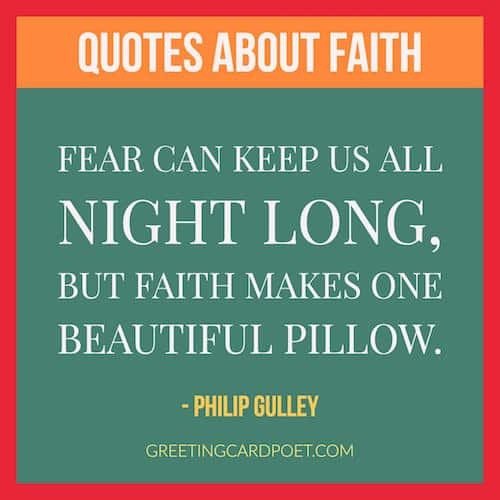 Quotes about faith can provide comfort in difficult times. It is what moves mountains and helps man achieve things considered to be impossible. No other virtue can be as strong and effective without it. 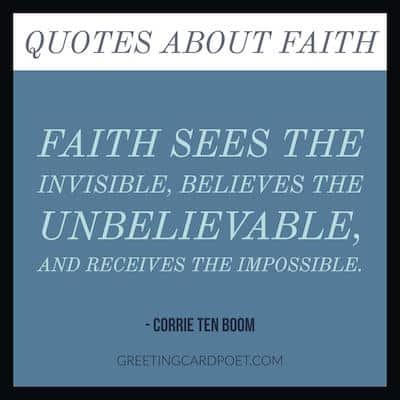 Your belief in God can help you achieve things and reach places that you may never even be able to imagine. It is what makes things right even in despair. It puts things straight where others may falter. Here are some inspiring quotes about belief to strengthen your conviction, and help you lead an even better life with purpose. It’s worth taking a risk when motivated by faith in God’s Word. I’m not perfect. I’m never going to be. And that’s the great thing about living the Christian life and trying to live by faith, is you’re trying to be better every day. You’re trying to improve. Faith is two empty hands held open to receive all of the Lord. True faith does not contradict its words by its conduct. There is never a moment when God is not in control. Relax! He’s got you covered. Step out on faith and walk into your purpose. Everything happens for a reason. Wait on God and trust in Him. He wants the best for us. He wants to take us from glory to glory, and from victory to victory. 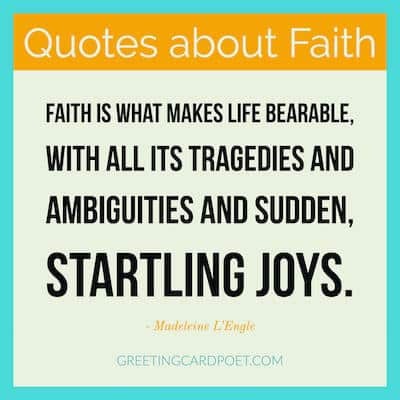 Tip: These faith quotes work well for daily motivation. Write them at the top of your to do list each morning. Faith is a grand cathedral, with divinely pictured windows -standing without, you can see no glory, nor can imagine any, but standing within every ray of light reveals a harmony of unspeakable splendors. Do not come into agreement with fear. Activate your faith, live in victory, speak over your life and expect great things to come your way. As believers in Jesus Christ, our work is to believe while God works on our behalf. When we in faith embrace Christ as our Lord and Savior, our minds are transformed. Keep on speaking God’s word over whatever it is that needs changing in your life and if you are faithful you will see God begin to work in your favor. Trust in the Lord with all your heart; do not depend on your own understanding. Seek his will in all you do and he will show you which path to take. Even the Old Testament saints were righteous because of their faith in the promise of God, now fulfilled in the gospel. The antidote to frustration is a calm faith, not in your own cleverness, or in hard toil, but in God’s guidance. Through the centuries millions and millions of people have found peace with God through faith in the Lord Jesus. Keep going! Your hardest times often lead to the greatest moments of your life. Keep going. Tough situations build strong people in the end. 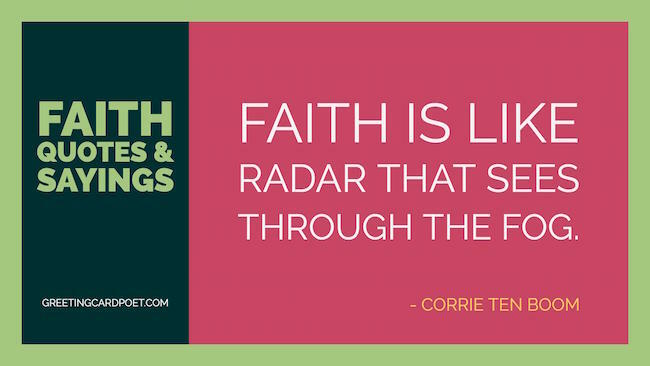 By faith, we believe God provides and we hold to the truth that He will not lie. If you wish to know God, you must know his Word. If you wish to perceive His power, you must see how He works by his Word. And, if you wish to know His purpose before it comes to pass, you can only discover it by His Word. 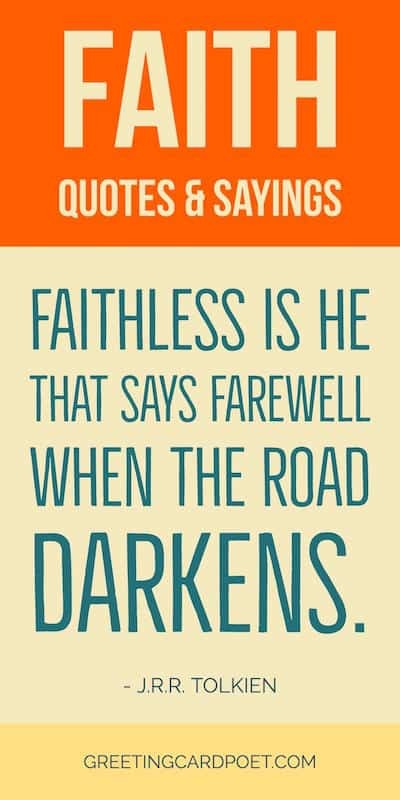 Faithful Christians make an otherwise unsavory world palatable to God. Let your life reflect the faith you have in God. Fear nothing and pray about everything. Be strong, trust God’s word, and trust the process. 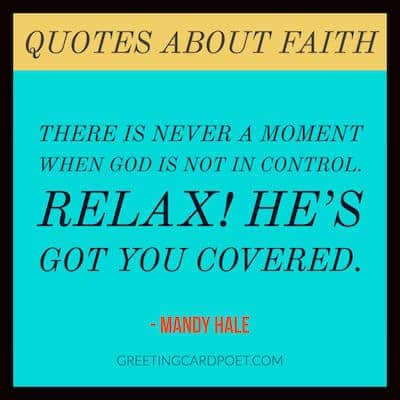 You’re on Quotes About Faith page.